Contrary to popular belief I do have other hobbies besides swing dancing. At the great peril of forever shattering a potential image of myself as a hip guy, one of those hobbies is the occasional playing of Starcraft II an online Real Time Strategy game. Have a competitive aspect in which there are level tiers of competition (Bronze, Silver, Gold, and et cetera for Starcraft/ Novice, Intermediate, Advanced, and et cetera for Swing Dance). Has regular events where participants match their skill against each other and top participants are rewarded with prizes. Is the catalyst for a large sub-culture that if one is not a participant they can be completely ignorant to the fact that it exists. Now I know some of you may think, “But swing dance is an art, how can people take this ‘game’ so seriously.” I would like to list the fact that many of the top Starcraft II players charge just as much if not more for private lessons then what the top dancers in the Swing Dance world do. Starcraft II holds these same requirements as well. Many inexperienced players will look for quick strategies to ensure victory to ensure a win (6 pool/cannon rush for you gamers out there, non-gamers this is the equivalent of a drape or pretzel), when their macro-management (macro) or as swing dancers call it “technique” is what is holding them back. I’m betting there are a few people out there in the past who have asked a more experienced dancer why is move X or Y not working to find out its because of a technique issue that you learned in your first swing dance lesson. I know that happened to myself when I was learning how to lead an eagle slide socially. The interesting thing is if you read a well-established guide on how to improve at Starcraft II, like Randy Gaul’s article on Team Liquid “How to Improve at Starcraft II 1v1 Efficiently” a lot of the material can easily be applied on good advice on how to improve at swing dancing. A great example of this is from the section, “Goals and how to achieve them”. I’m going to first post the part which is directly quoted from the Starcraft II guide. You’re never going to get anywhere if you don’t know where you’re going. Similarly, you’ll never get to where you’re going if you don’t know how to get there. In order to achieve a goal, you first of all have to have a goal. 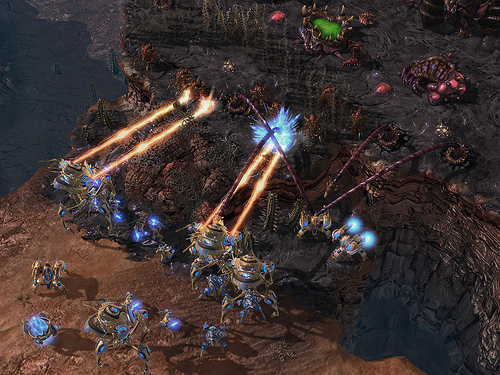 So now ask yourself what your goals are going to be with StarCraft II. Be both realistic and decisive. I want to be promoted into league X.
I want to become a high level professional player, worthy of sponsorships so I can play full-time. I want to win a few specific local tournaments so I can enjoy the prize money! I want to get into the top 500 players of the ladder on the server I currently play on. Now, here is a modified version of the quoted part of the article. You’re never going to get anywhere if you don’t know where you’re going. Similarly, you’ll never get to where you’re going if you don’t know how to get there. In order to achieve a goal, you first of all have to have a goal. So now ask yourself what your goals are going to be with Swing Dance. Be both realistic and decisive. I want to pass the level test into level X.
I want to become a high level competitive dancer, worthy of teaching so I can dance as a full time job. I want to win a few specific local competitions so I can enjoy going to events for free! I want to get into the be considered part of the “advanced” leads/follows in my regional area. Goals sound eerily familiar huh? I remember at Lindy 500, last year, during a competition class one of the instructors said something similar to, “Competition is a game, if you want to win you have to learn how to play it.” It is interesting how when I compare Swing Dancing to Starcraft II how much that statement hits home for myself. This entry was posted on February 13, 2012 by Apache. It was filed under Dance and was tagged with Lindy Hop, Starcraft II, Swing Dance. Dude I love that you were able to make the comparison between these two subcultures.